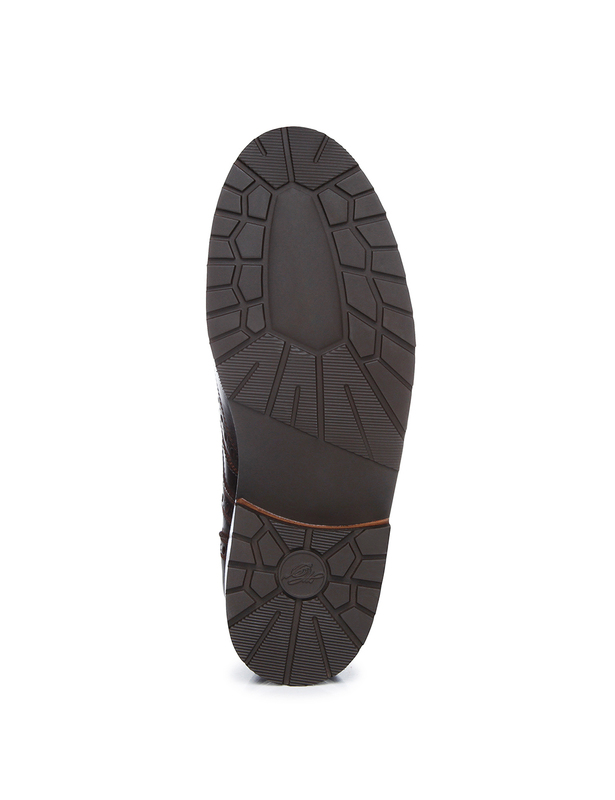 Triple Sole with Rubber Lug Tread Two flexible leather midsoles and a water-repellent outsole with a rubber lug tread in an elegant design guarantee durability and lasting quality — perfect for cold, wet conditions. 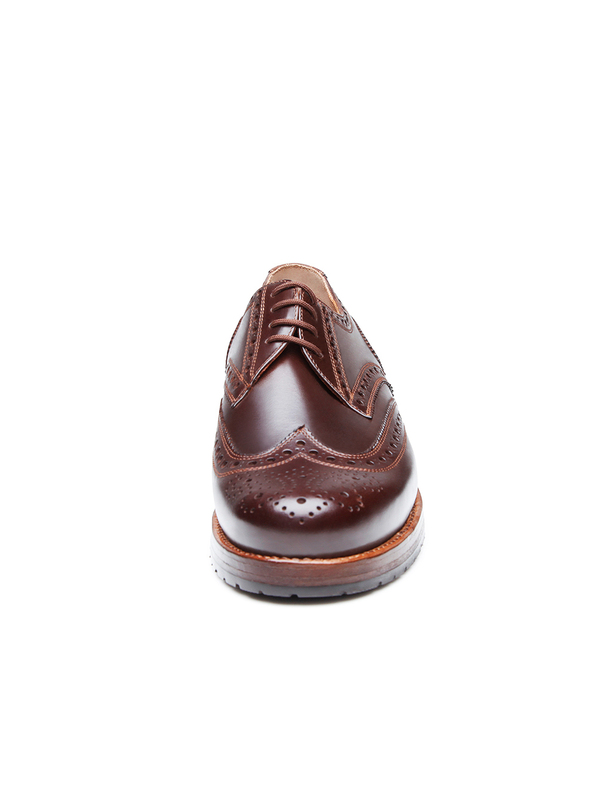 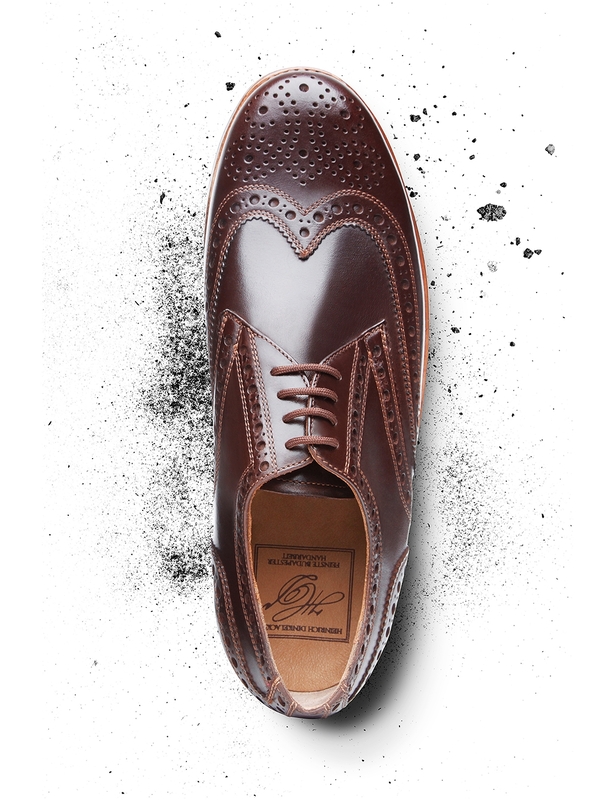 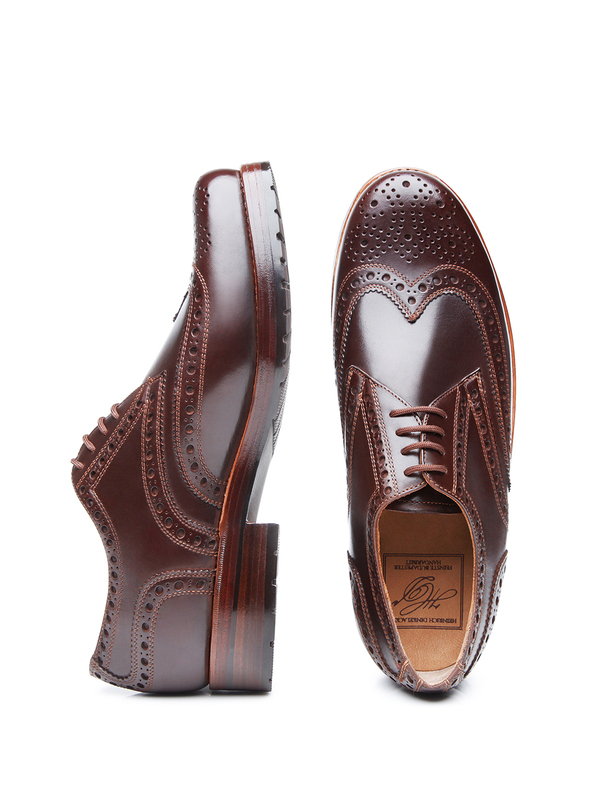 When it comes to the sewn-welted full-brogue Derby, opulent ornamental perforation meets waxed, waterproof greased nubuck in mocha. 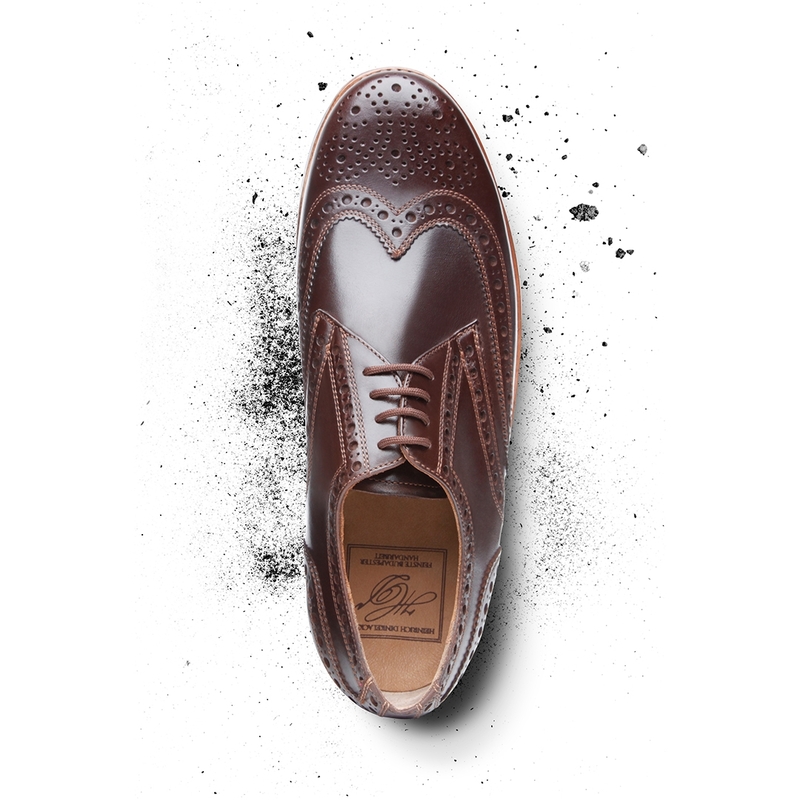 The elegant perforation pattern can originally be traced to the rural populations of Ireland and Scotland, who used the holes in order to get their wet shoes to dry more quickly on the boggy highlands. 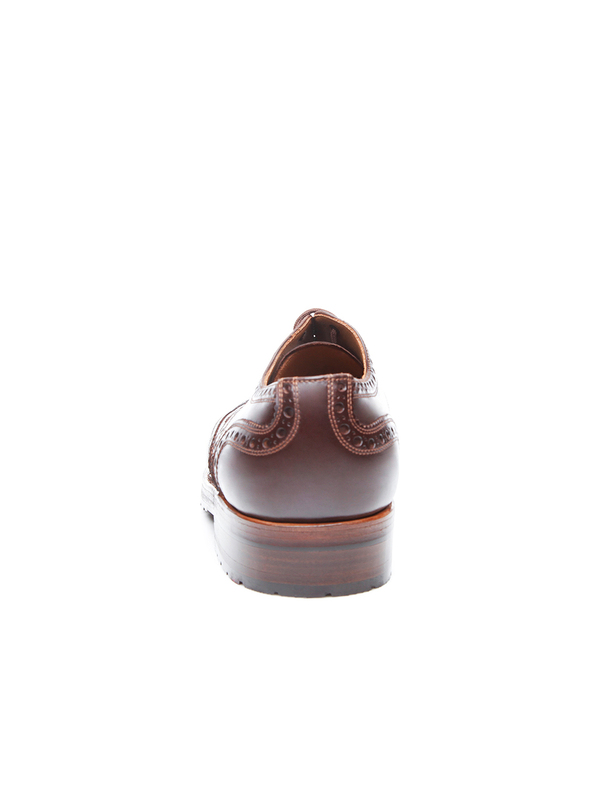 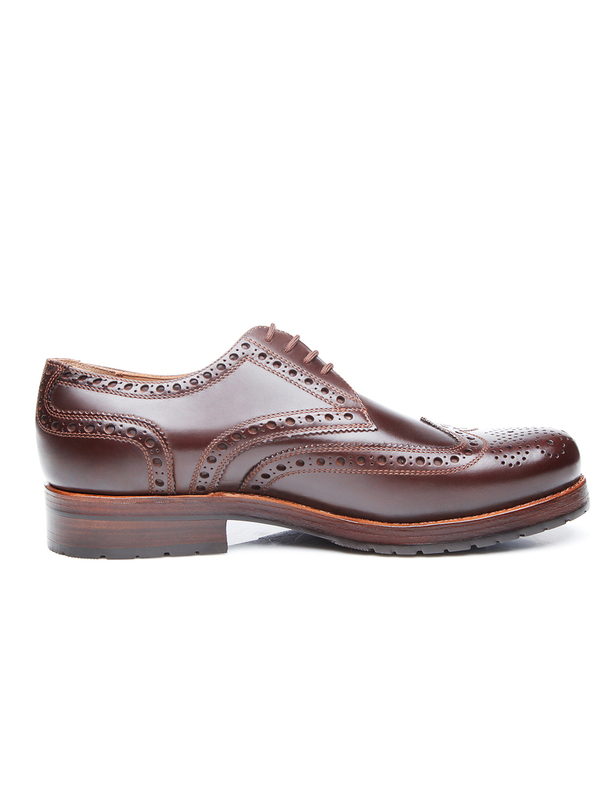 Over time, the perforations became purely ornamental and lend this shoe its dynamic character. 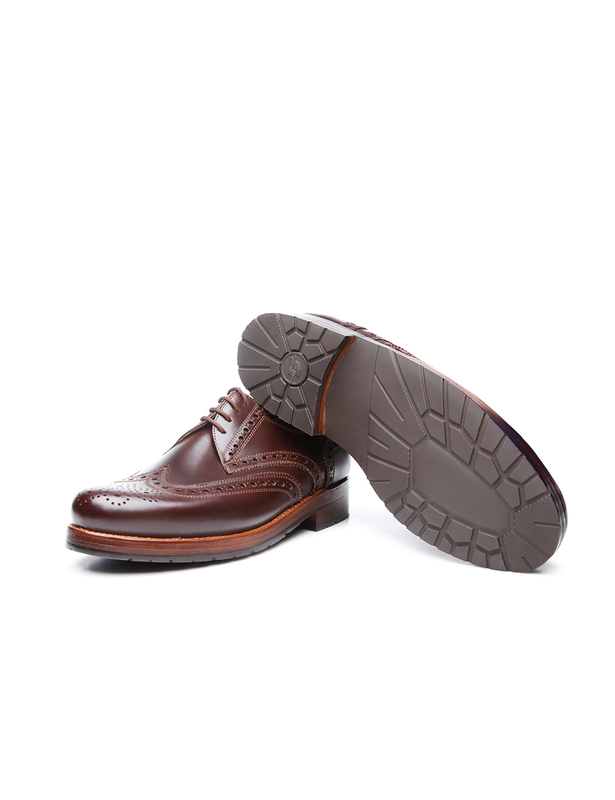 This handcrafted classic shoe is celebrated for its open four-eyelet lacing and abrasion-resistant triple sole with additional rubber lug profile, which demonstrates its skills in adverse weather conditions. 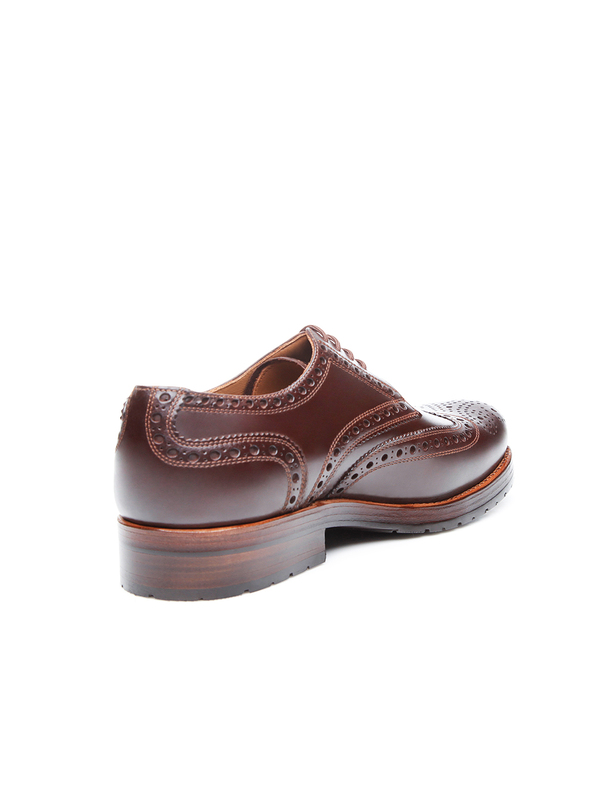 Furthermore, the classic Rio last is comfortably wide. 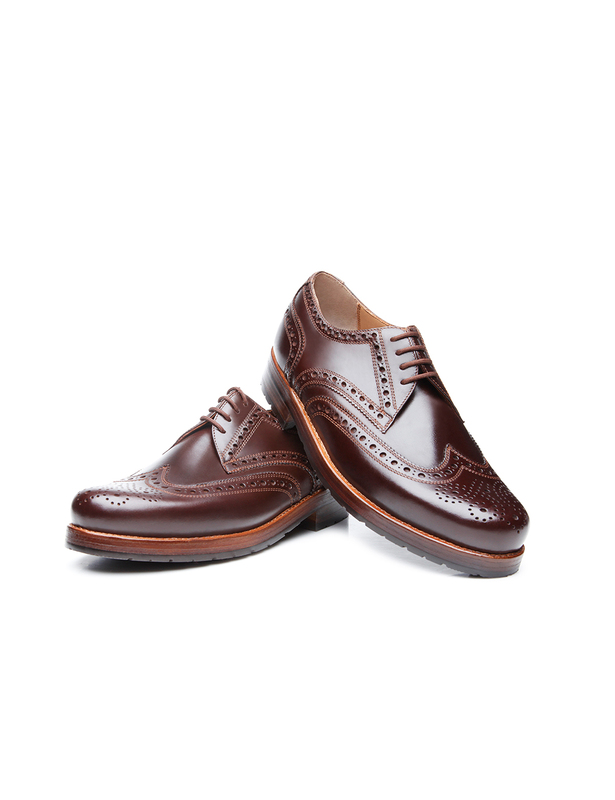 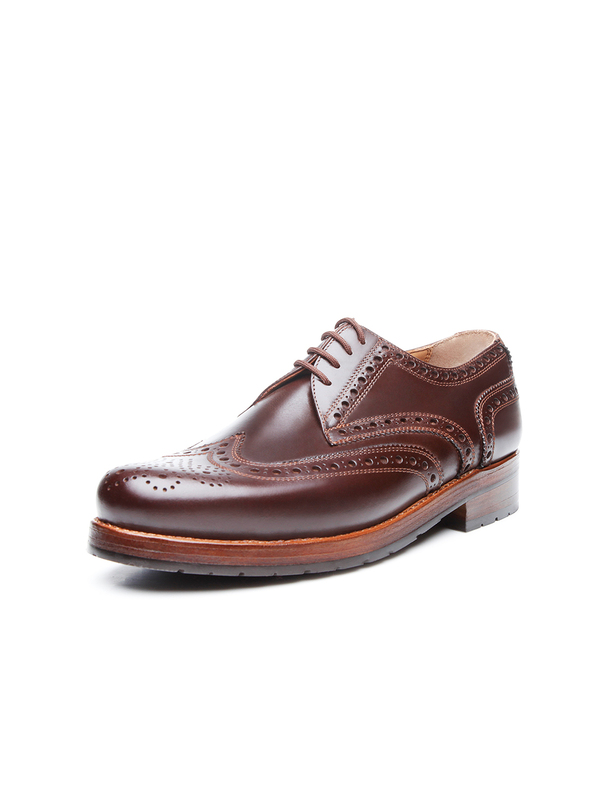 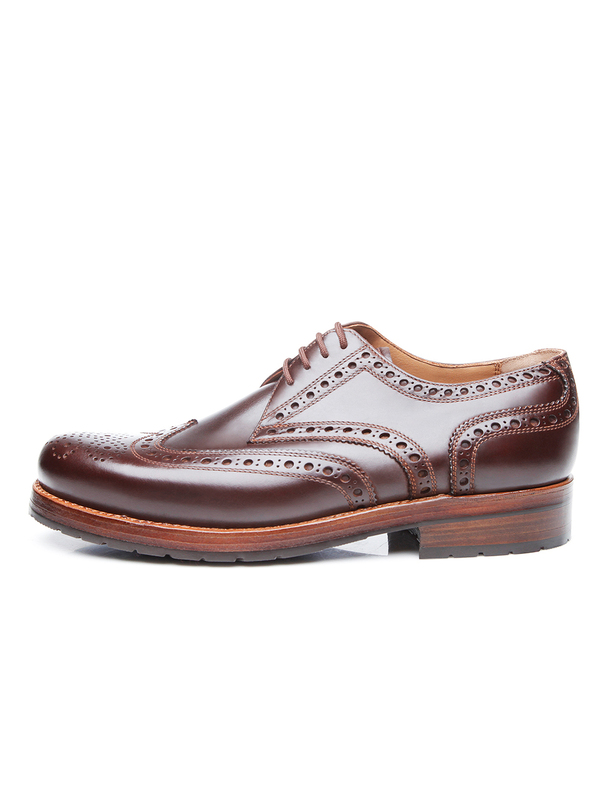 Thanks to its sporty elegance, the beloved full-brogue Derby can be perfectly combined with both modern business attire as well as sophisticated leisurewear.